Beit Khairat Souf is a unique place combines the elements of nature and allows visitors to experience some of the natural and tasty pleasures of Jordan. It is a historical and cultural heritage of the Batarseh family. The house was built in 1881 and it was renovated in 2016 to become Beit Khairat Souf to continue serving the community in accordance with the house’s history and tradition.  Bair Khairat Souf is the perfect place to experience the tastes and traditions of the Jordanian culture. It is managed by Alnoor Almouben Association, which is comprised of a group of very strong- willed and ambitious women, mothers, and wives. The goal of Beit Khairat Souf is to create a platform for local women to financially support themselves through opportunities for economic development in the heart of Souf. Beit Khairat Souf is a historical and cultural heritage home of the Batarseh family. The house was built in 1881 and it was renovated in 2016 to become Beit Khairat Souf, to continue serving the community in accordance with the house’s history and tradition. It serves traditional, natural food. Beit Khairat Souf is the perfect place to experience the tastes and traditions of the Jordanian culture. 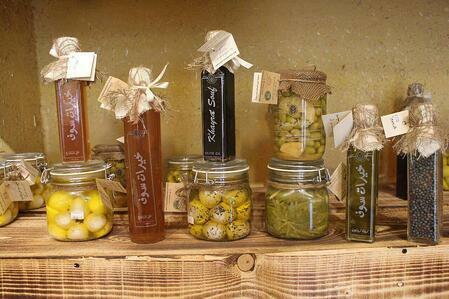 Beit Khairat Souf offers a wide variety of natural and handmade products, including an exquisite blend of jams, pickles, olive oil, vinegar, molasses, and a wide variety of healing herbs, such as rosemary, sage, thyme and other native plants to the area. They also have a very special secret blend of coffee, which shouldn’t be missed! Beit Khairat Souf welcomes you to experience our local breakfast and lunch in a natural, outdoor environment, seated beneath our big trees and surrounded by fragrant flowers. Their menu includes one-of- a-kind unique foods, and fresh handmade natural wheat bread. If you feel like you need to see more of the area, you can take a bicycle ride through the specially selected routes in Souf! You can start your journey from Beit Khairat Souf or Al Ma'wa, and either begin or end your adventure by having a local authentic experience and zest your taste buds at Beit Khairat Souf. The goal of Beit Khairat Souf is to create a platform for local women to financially support themselves through opportunities for economic development in the heart of Souf. 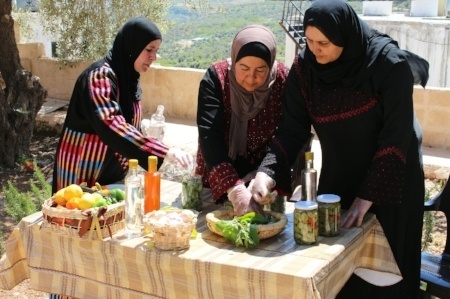 This eco-restaurant is the first women initiative in Souf village and became a new tourist destination in Jordan. It boosted the tourism in the village in addition to employing the local women who couldn’t find a proper market for their hand made products. Additionally, it provides different volunteering opportunities for the youth who are striving to invest their time and mingle with other cultures through dealing with the guests and clients who are visiting Beit Khairat Souf. Beit Khairat Souf is a success story in itself as it is the first and only productive women’s initiative in the remote village of Souf. It attracted the attention of tourists and donors to this village and became a new tourist destination in Jordan. It has boosted the tourism in the village and employed many local women who were facing difficulties in trying to market their products to improve their socio-economic conditions.